How much time do you focus or think about creating your legacy? How often do you explore and think about what leaving a legacy really means? Do you share or discuss legacy with others? 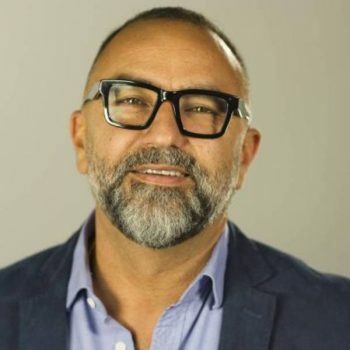 In this webinar Bernardo Moya founder of The Best You will sharing what he has learned from working with leaders in the industry, learning and modelling from many greats and the conclusions he has come to. In this webinar he will share some thought provoking ideas that will touch your heart and soul. Only sign up leaving a legacy has resonance with you. Thinking of leaving a legacy is a must. The Best You Legacy Club is a place where like minded people, who are passionate about making a difference meet. A place to think, to share ideas to find inspiration, to connect with colleagues that care and support you, that help you on your quest to enhancing your life and growing your career or business and making the world a better place. But let’s be clear, this is NOT another business networking group. It’s not another of the million “masterminds” where the ultimate intention is to sell you something else! We are reconnecting in a disconnected world!! MOST importantly we will help YOU find your legacy. We believe The Best You equals a Better World. It’s very difficult and very challenging to do it alone. In the modern world of business, there is no quitting time! We are constantly dealing with calls, messages, facebook messages, instagram messsages, twitter messages, emails…(OMG) we seem to be tied to our technology 24/7. Wouldn’t it be great to take time away from all that to just work on your business or yourself, make plans, set goals, share and brainstorm face to face with other people just like you? The answer to that question is YES! Decide it’s not for you (not likely to happen because it’s that good). Decide to join the movement and become a member. Maybe apply to become a director and run one of these breakfast clubs yourself. If you are interested in being part of a global club, where you can connect with anyone and everyone who is “anyone” but by that we mean NOT everyone is accepted, members and directors are vetted. YOU deserve One day a month (12 days a year at least) to work on yourself. You owe it to yourself, it’s essential to become a better person, a better parent, partner or entrepreneur. YOU need to bring enthusiasm, and an open mind. Leave your EGO (we all have one!) at the door. One of our friendly team members can hold on to it while you are in the room. Everything shared in the room comes from a place of love and honesty. It’s about sharing and contributing, making contacts and getting valuable feedback, it’s not about selling to the room.